After a two hour evening flight, fifteen piece IDMC Gospel choir landed at Marco Polo airport in Venice. 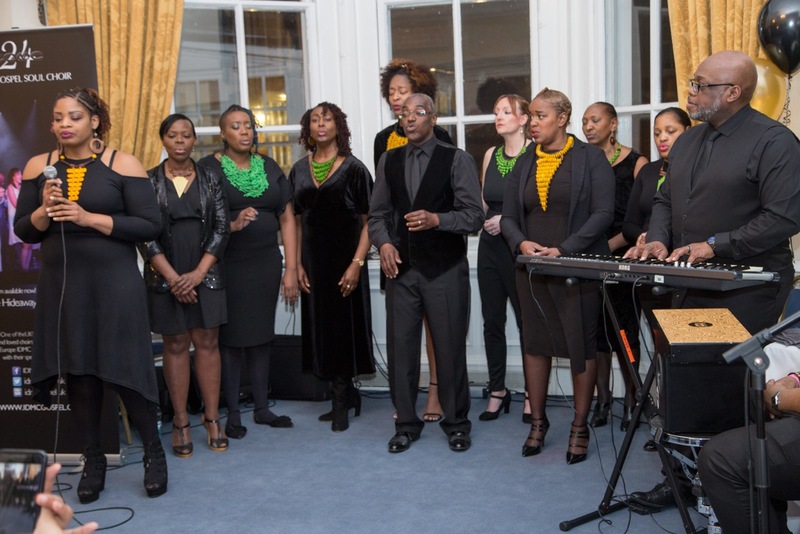 Assuming to be picked up by a couple of representatives from New Generation gospel choir…however this was not the case! Once assembled and ready to depart choirmaster John hera lded, “ You ready gang, here we go!” the choir were not ready for what was around the corner. To their amazement, in waiting were thirty members of New Generation gospel choir with welcome banners singing and dancing to an African Gospel medley! To be overwhelmed was an understatement! In shock and awe, IDMC that little old choir originating from South London stood there gobsmacked that after twenty three years, they could be welcomed to Italy in such a way as this!! AWESOME! Parked outside was a fifty-three seater coach waiting to take choir members to their respective hosts homes where one was treated like royalty! Day 2 saw both IDMC and New Generation Gospel Choir come together for a workshop session led by both choir directors. The choirs were preparing the finale songs for the end of the concert. The atmosphere was already amazing, the sound fantastic and the fellowship was lovely. 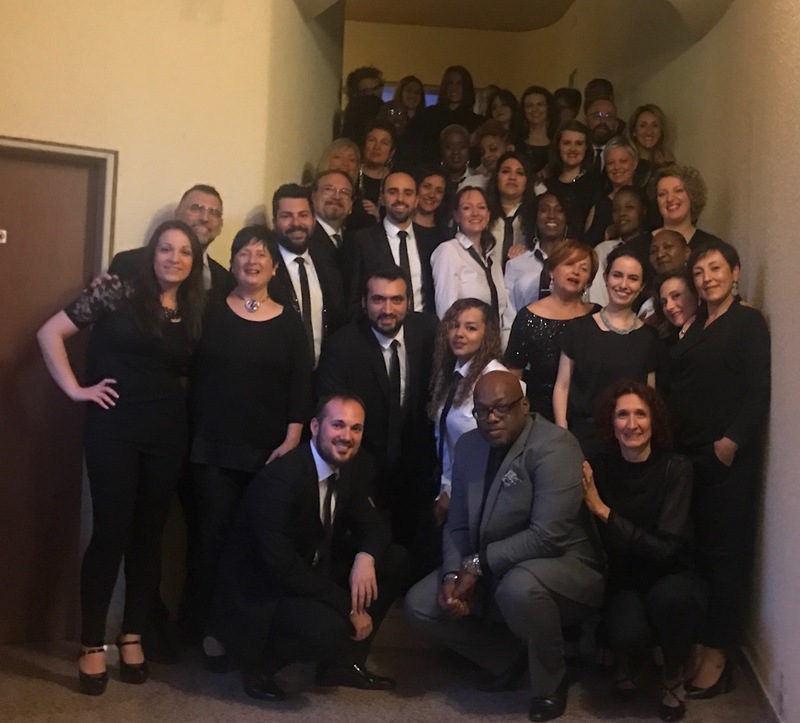 Under the leadership of Federico F e Fiorentin, New Generation gospel choir have always viewed IDMC as it’s mentor choir and sing a lot of John’s songs in their repertoire, hence the love for everything IDMC, and as a choir in their own right, they have an awesome sound. Later on in the day the choirs moved to an amazing auditorium where the sold out gig was being held. 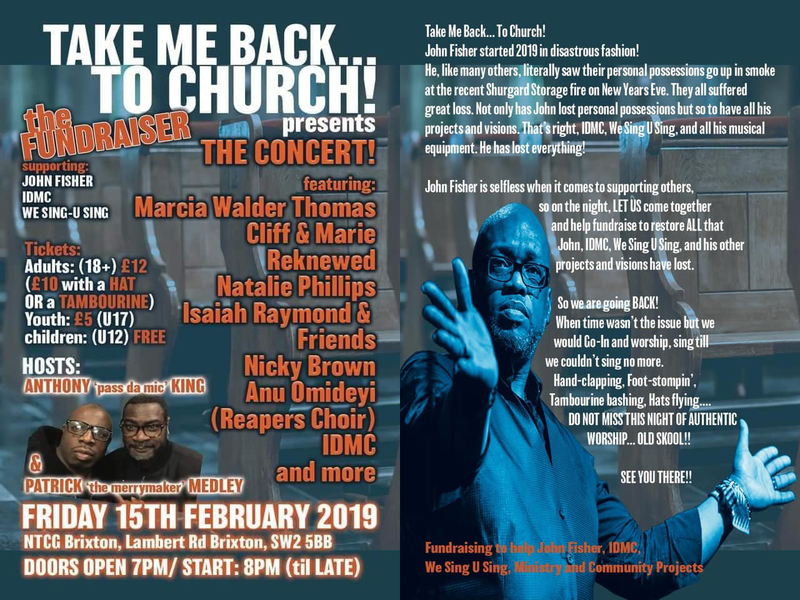 The sound checks went well with the IDMC band, which was MD’d by Andre and included legendary UK gospel bass player Steve Yarde, and one of the UK’s top female keyboardists Sharlene Llewellyn which created an tremendous sound. At opening time, the doors let in a massive sea of people and the venue was flooded real quick. New Generation choir were first to hit the stage and set the foundation for the evening and they were excellent. With a very strong vocal sound and fantastic band, Federico’s vocal was on point and his skill of leading his choir was fantastic. Next to rapturous applause came IDMC. John hadn’t yet got his Italian together, so a slow English speaking voice had to be the order of the day, but honestly speaking, it wasn’t about what John had said, but more about what IDMC would deliver. From the opening song and throughout the set, IDMC were able to translate Gods’ message by delivering passion through their song set. They sang, danced and clapped, and the audience responded in the same way. 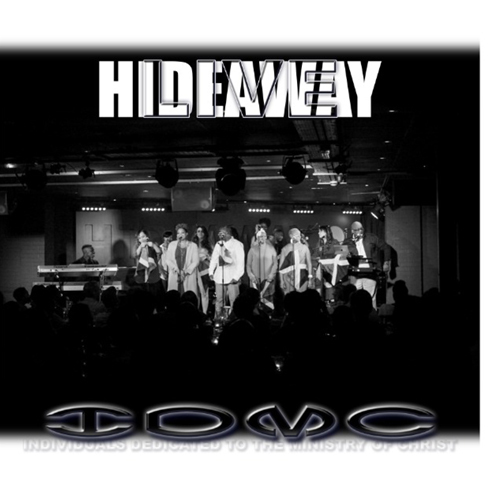 People were in tears as IDMC worked their way through the passion on ‘Love’ medley, which showed the UK singers that their message was getting through. The finale was off the chain with both choirs coming together to lift the roof. 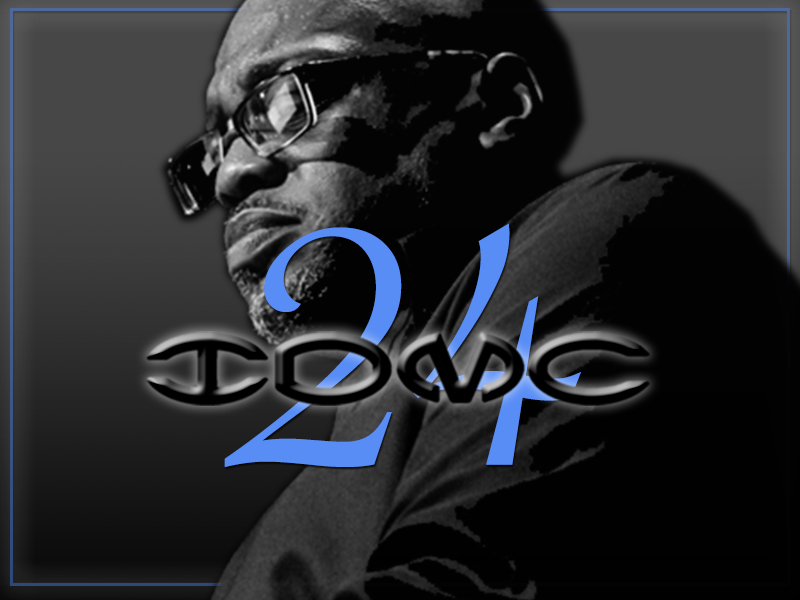 IDMC’s now classic ‘Victorious’ is the much-loved song doing the circuit in Europe. It was an astonishing end to a great show. The third and final day of the Italy tour saw both choirs on a day out together in the romantic city of Venice. It allowed the team to enjoy a beautiful time, touring the city, having a ride in a gondola and even singing on the roof of a shopping mall! A totally perfect day, although this made the end journey to the airport and the final goodbye so very difficult. The bond that had been built up over such a short time has guaranteed a return trip to Venice in 2018.